Deadline is reporting that Netflix has renewed supernatural drama series, Hemlock Grove, for a third and final season. The final season will run for 10 episodes. Hemlock Grove is based on the novel by Brian McGreevy. Charles H. (Chic) Eglee will return as showrunner for the final season. The was the first television project for executive producer Eli Roth, better known for writing and directing horror films Hostel and Cabin Fever. 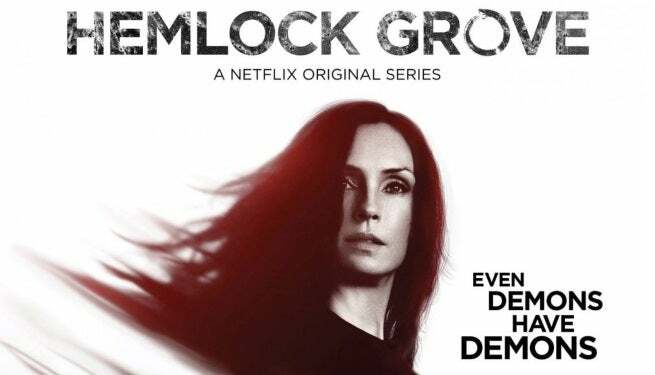 Hemlock Grove’s second season was released on Netflix in July, and stars Famke Janssen (Olivia Godfrey), Bill Skarsgård (Roman Godfrey), Landon Liboiron (Peter Rumancek), Dougray Scott (Dr. Norman Godfrey), Madeleine Martin (Shelley Godfrey), Madeline Brewer (Miranda Cates), Kaniehtiio Horn (Destiny Rumancek), Joel de la Fuente (Dr. Johann Pryce) and Demore Barnes (Michael Chasseur).